See Chef John’s secret formula for making pizza sauce. 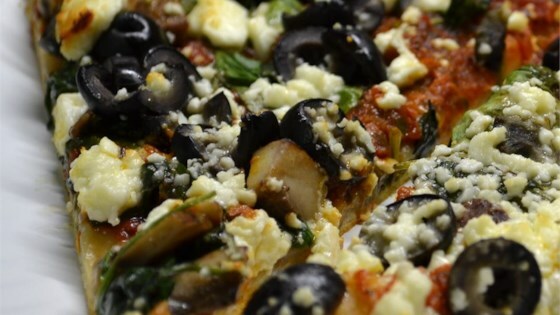 I used shredded mozzarella instead of feta and a couple packages of thawed, frozen chopped spinach for the topping. Really good! excellent--I added mushrooms and grilled chicken to this and my family loved it--thanks for the recipe. This was really really good. I used fresh basil instead of dried and I think next time I'll grill the onions and add sliced black olives for more flavor but other than that it was awesome!